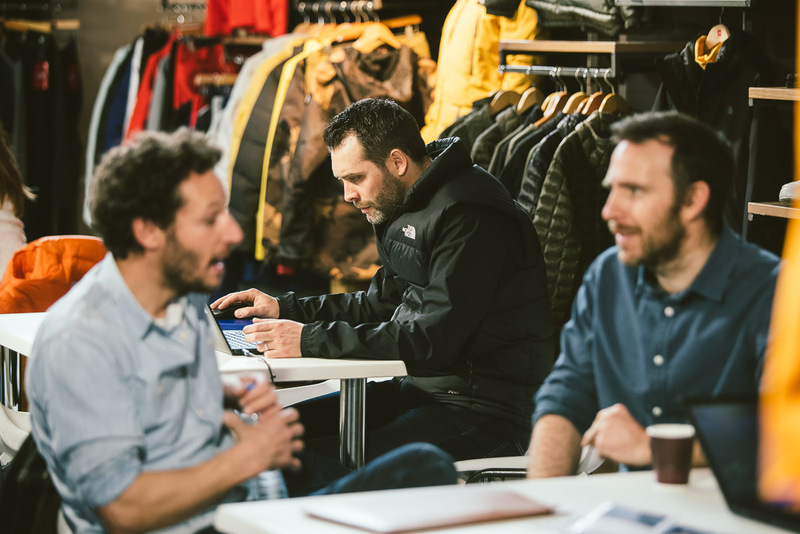 From 11 to 13 March 2019, 571 brands, including 75 new ones, came together at the mountain and outdoor sports trade show, welcoming 3,324 business visitors, slightly up on 2018 (+1%). 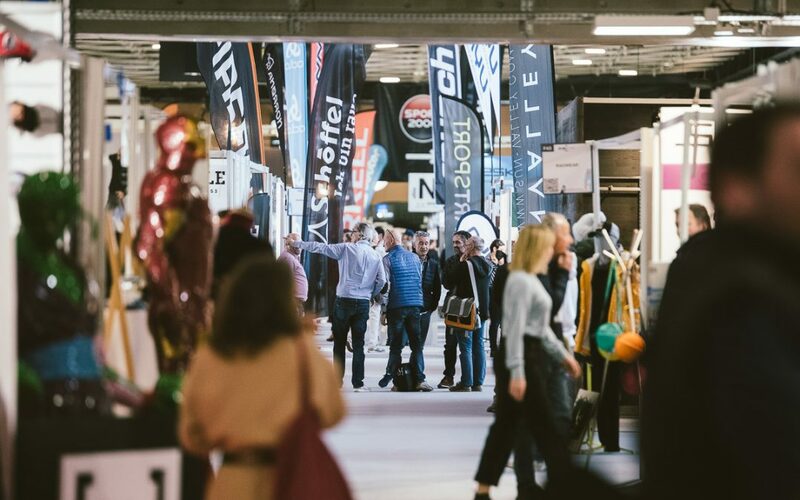 Sportair, an expert in B2B shows for over 15 years, brought together professionals on the outdoor market for a 3-day marathon of buying and sport, and vice versa. “I’ve been coming to shows since 1959 and it’s always just as enjoyable”, says Yvette Perrillat of Magasin Yvette Perillat in La Clusaz mischievously. Part of the B to B events calendar since 2002, it’s an essential show for media, manufacturers, distributors, agents, retailers, online retail sites, leasing specialists, buying groups, specialised chains and procurement centres, etc. This space featured 9 companies less than 5 years old. A clearing in the forest revealing innovative young start-ups, the Crème Fraîche space was an opportunity for new players to present their products cheaply and get themselves known. “We’re featuring around ten companies which we hope to be able to help launch themselves,” explains Michael Hutin of Sportair. Brands present: Easy Snowboards, Artic Snow Bikes, Borealis Snowboards, H.Holderness, Alpine Tech Wear, Goggle soc, Lagoped, Ontracks, Jao Collection. The showroom, located at the entrance to the show, featured 50 products that won awards at international shows, giving visitors an overall vision of the market. Buying French means reducing your ecological footprint by favouring shorter supply channels but also supporting the local economy. This is such a worthwhile endeavour that Sportair joined in by creating a dedicated space. “It’s ideal to be at an essential passing place, on the way in or out,” maintains Christophe Cordonnier of Lagoped. Because the professional world is also big on exchanging information, there were 6 talks, at the very heart of the show, offering concrete information and detailed analyses. 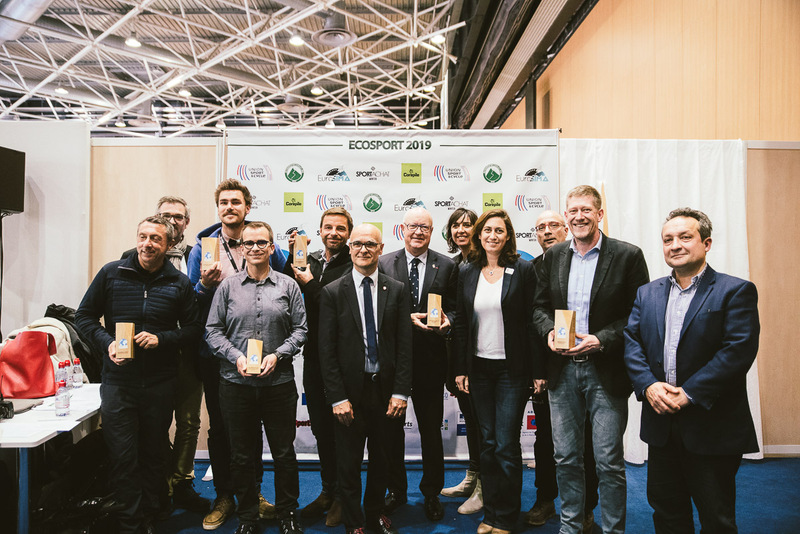 From deciphering French clothing consumption habits to Boot fitting, including the Ecosport Awards ceremony and the 2018 Review of the sports & leisure wear market, the programme was packed. For example, the “Preliminary review of the 18/19 winter season” talk highlighted a mixed winter season for shopping in resorts, due in particular to a loss of profitability. The Union Sport et Cycle “sport and fashion” study showed the importance of the merging of the two worlds. Nowadays, one in five French people dress in sportswear, a trend that’s benefiting sports retail and brands. 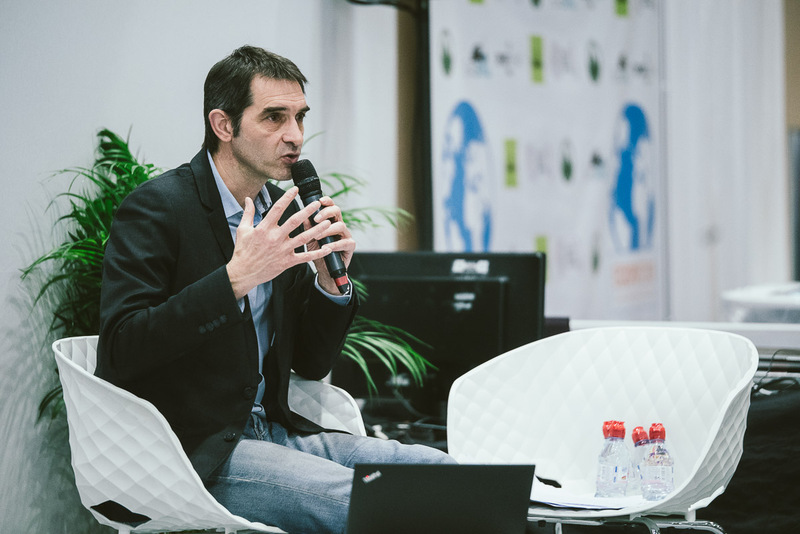 Companies from the Crème Fraîche and Made in France spaces were also given an opportunity to present their products to showcase their innovations, values and know-how. Finally, the 2018 Review of the sports and leisure wear market confirms an increase in sports consumption in 2018 for the second year in a row. However, this increase is lower than previous years and mainly supported by online sales which are up 8%. We were located in a strategic corner in the Crème Fraîche space, on the way in and out of the show. So we saw quite a lot of traffic, which is already great. We made a lot of contacts, with shops and professionals showing an interest in the brand, which helps raise our profile. The idea of Lagoped, aside from the use of recycled materials, is to source and manufacture in Europe. This is an element of differentiation with what exists on the market. Another promise is to sell at the same price as on the other side of the planet. This is our first time at Sport-Achat, and since we did the Made in France show in Paris in November, it’s makes sense to be here to defend the tricolour; our skis are made in the Pyrenees. We’re a bit out of the way in the Made In France space in relation to our business, namely skiing, which is on the other side of the show. But the people coming to this space are really interested in the concept of Made in France which works well for us. We’ve made a few good contacts. Ours is a small-scale production and the plan was to reach out to exclusive distributors to establish a presence with a big chain. Chullanka’s buyer visited the stand and we’re going to work together! Forward is a new brand based in Verbier and around Annecy that consumers will be discovering in September 2019. It’s arriving on the market with technical, minimalist, urban, outdoor and multi-activity (ski et snowboard) clothing, for men in the 1st year. It’s important to be at Sport-Achat, especially during a launch year; it gives us visibility. CMP is an Italian clothing brand created 60 years ago, with an extensive offering covering the outdoor, skiing, trail running, adult and kids segments and an entry-level positioning. My husband and I created the new French subsidiary in June 2018 and this is our first time at the winter show, with a stand of 72m2. We were at the Summer Session last September and here we’re seeing customers we’ve already seen in the showroom, others who’ve come to check things out and we’ll see again, and others who are discovering the brand. The first two days of the show were very satisfactory, Wednesday’s a quieter day. VIST is a premium Italian brand with a sports segment that appeals to clubs and ski schools, but also national teams, and a high-end segment. We’re in the process of establishing the brand in France which is what motivated us to come to Sport-Achat, with a stand of about 30 m2 and a sales team of 3 people. We’re satisfied with our first time here and will be back next year. Vuarnet re-established its product in stores this winter and we returned to Sport Achat this year to present our second FW19 collection and reach out to outlets. We’ve got a skiwear & lifestyle apparel offering with a mid to high-end price point. I cover the South East and made my appointments at the show. It worked really well. With the opening up of new clients, orders and visibility, the results were good. Hero Seven was created in Aubagne 10 years ago. We came to the show last year and really benefited from it because it helped us open lots of mountain outlets. With our complete range of quality branded and targeted products and our Steve McQueen franchise, we realised we were meeting a lifestyle demand from resort stores. This was our motivation for returning to Sport Achat with a 24 m2 stand decorated in a New York loft style and a frontage section to showcase our different prints and logos. This year, the aisles seemed more scattered than last winter which affected the number of visitors to our stand. But it’s still an enjoyable fair and I think we’ll do it again next season. Hero Seven – Gregory Bonaventura, sales manager. 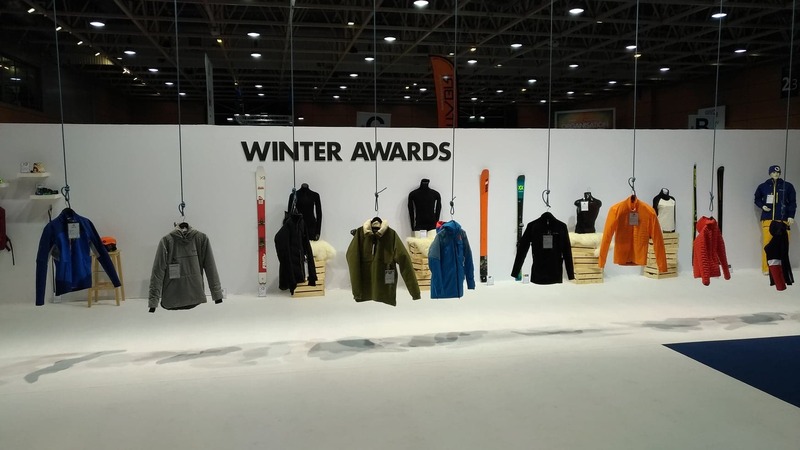 For our 2nd year at Sport-Achat Winter, we opted for a bigger stand and had 4 reps there. We doubled the surface area to 36 m2 and we needed it which is a good sign. We’re quite happy with the number of visitors we had. We’ve redeployed Mountain Hardwear in 60 stores in France and quite a few customers visited the stand. It’s a bit late for clothing but we’re mostly here to show face, to demonstrate we’re present on the French and European market. That said, we did take some orders with 2 new clients to the stand which is positive. The good thing about Sport-Achat is that it’s the best place to attract resort outlets who come to buy ski equipment and who we don’t work with much still. This show has been good with great visitor levels on Monday and Tuesday morning. Sport-Achat is an important event for us because we’ve got a portfolio of 12 very different core brands with a strong culture on the hardwear market, but also accessories, and a new Australian outerwear brand for women called Rojo. We’ve brought them together on a 40 m2 stand so we’ve been able to show all our collections; we don’t get the chance to do this in stores. Sport-Achat allows us to see lots of customers and we’ve also seen lots of prospects on the different sectors. So we’ve got our products into some buying groups, particularly the Armada brand with Skiset after a meeting yesterday at Sport-Achat. SLAB Distribution with the brands Armada, Shred, Deeluxe, Bataleon, Rome, Switchback, Lobster, Pow, Rojo - Sébastien Boyoud, founder. We chose to have a stand that was representative of our offering, with about half the products in the mountain and lifestyle sectors. We mainly came to show the brand in its best light. We don’t take orders at the show, that’s not what we’re here for. Sport-Achat Winter mainly allows us to establish contacts with prospects but also make adjustments with customers we’ve already seen, because we’re at the end of a sales campaign on these dates. Sport-Achat is always a good moment both business-wise and in terms of our winter sports ecosystem. We come here to make contact with our customers and present all of our new products right after the international shows. For us, the show went well. The quality of meetings is very good. For us, Sport-Achat is more about finalising orders and finetuning quantities with our clients than discovering the offering. So we designed our stand a bit differently so we’re not just presenting products but giving a sense of the collections. We also brought a few clothing items as a reminder because the dates for orders has passed. In general, Monday and Tuesday were good. Quite a few brands were present, with quite a wide range. People are engaged and the atmosphere is enjoyable to work in. I get a sense that visitor numbers dipped slightly. The problem is that Intersport and Go Sport have their buying day nearby on the same dates. With a space of almost 100m2 we’ve called Showroom le 13 which has areas for each brand (Kastle, Douchebags, Dahu, Code Zero, Sweet Protection, Mons Royale and Goggle Soc), this is the first time we decided to recreate the Annecy showroom at Sport-Achat. The idea was to reflect the high-end positioning of our brands with a product showcase and display. We felt it went well; we worked very hard on Monday, Tuesday and Wednesday morning. We’ve got differentiating brands, we protect our retailers on prices, we offer them a margin and we’ve got a high-end positioning. In short, we’ve got everything they’re looking for and this works well. We’re really satisfied with the show and I get the impression its moving upmarket. My only complaint is that too many retailers come to see the collections at Sport-Achat, in other words the stores don’t come, they don’t do the ASAP or ISPO shows. Regarding points for improvement, perhaps optimising Wednesday by bringing forward the closing time to force the brands to stick to a timetable? I’m presenting my range of skis, helmets and masks. It’s the first time we’ve done Sport-Achat as a ski manufacturer; we’ve got a good story to tell and great skis to show. The perception is good and the products are going down well. Sport-Achat launches the selling campaign for accessories and we’re starting to get a good idea of what might happen in the coming weeks. We’ve had some quieter moments but overall, we’re satisfied; we saw the customers we wanted to see and I think we’re going to do good business after Sport-Achat which is rather positive.